When the Federation and Klingons signed the first of their shaky peace accords at Kitomer,the Romulan High Command immediately realized that their attempts to seize Federation and Klingon held territory through subterfuge would most likely fail. Needing more resources, the Empire immediately began to revamp older vessels and construct new and more powerful starships to help expand the boarders of the Empire. The V-16 was the first vessel to be put back into production, after nearly 20 years of retirement. Built with the old V-4 light cruiser plans, the V-16 incorporated the large multideck wing structures and dual firing disrupters mounted on the wings. 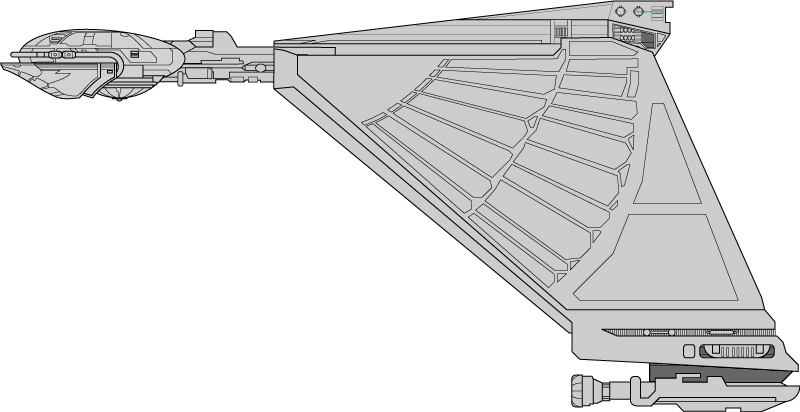 Although the original V-4 cruiser mounted no torpedo weaponry, plans to seize territory in the Triangle and along the Klingon boarder prompted a number of changes to the design. With the mounting of a standard forward command boom, the V-16 became distinguishable from it’s smaller cousin. Shortly after the introduction of the RWG-2 engine into the Romulan inventory, the V-16 type 1 took shape. Armed with powerful disrupters and the new RP-5 torpedo, the V-16 became popular with front line commanders. Having 6 labs and a small shuttle bay, the V-16 also became the prime research cruiser in the Romulan inventory. The Mk I remained in service well into the 2300’s, but was slowly upgraded to the more powerful Type 2. Mounting the more powerful RB-11 disrupters and the newly created RP-7 high power torpedo, the Type 2 would also remain unchanged for nearly 20 years. Although an attempt to mount a high power plasma torpedo met only moderate success, the Mk III never saw production. 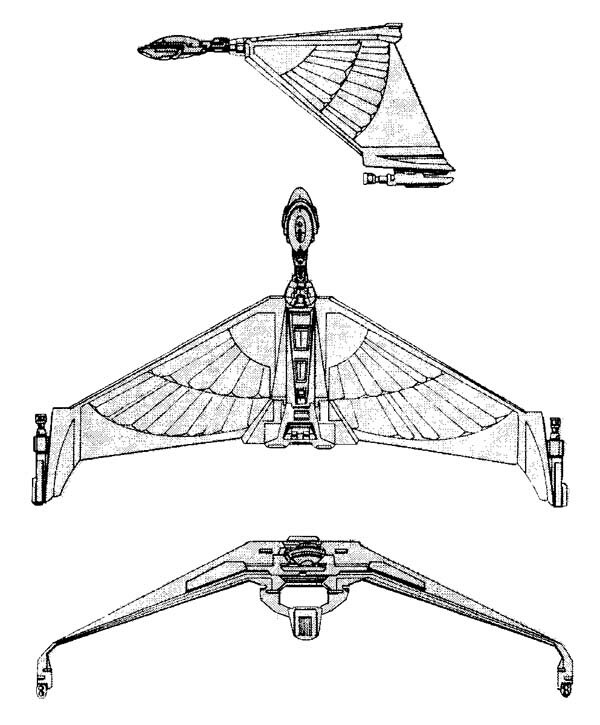 The greatest drawback of the V-16, as with most Romulan light to medium cruisers was the shielding dilemma. Although trinary shielding provided strength, it often required massive amounts of power, reducing the vessels fire power capabilities. Until 2320, no trinary system had proven powerful enough to provide adequate protection. Then the quaternary RSS was installed, giving new life to medium cruiser. The final variant of the V-16 was refit with the new shielding system and became the most successful variant of the popular cruiser. Estimates place production of the V-16 at 6 per year, although this has not been confirmed. Of the 180 vessels so far constructed, 1 has been lost, 8 have been destroyed, 6 are believed to have been scrapped, 5 are known to be used as training vessels, 1 is currently believed to be captured by insurgent elements of the IKS, and 10 are confirmed sold to elements with in the Triangle and private research groups in the Empire.